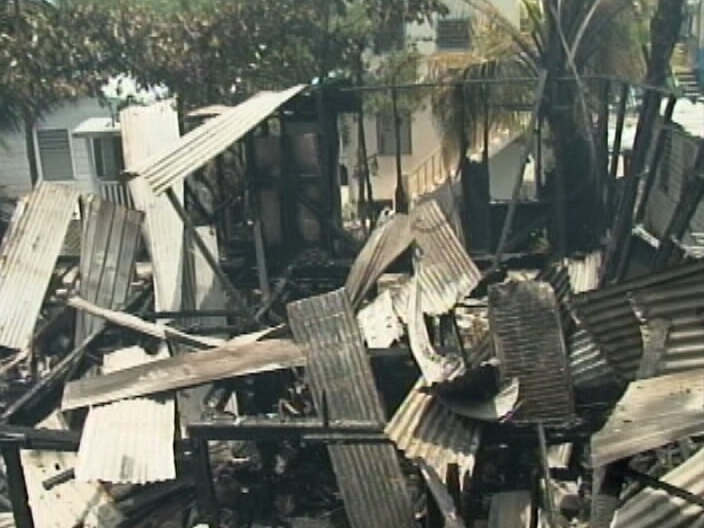 A fire in San Pedro town tonight has gutted at least six structures/buildings. 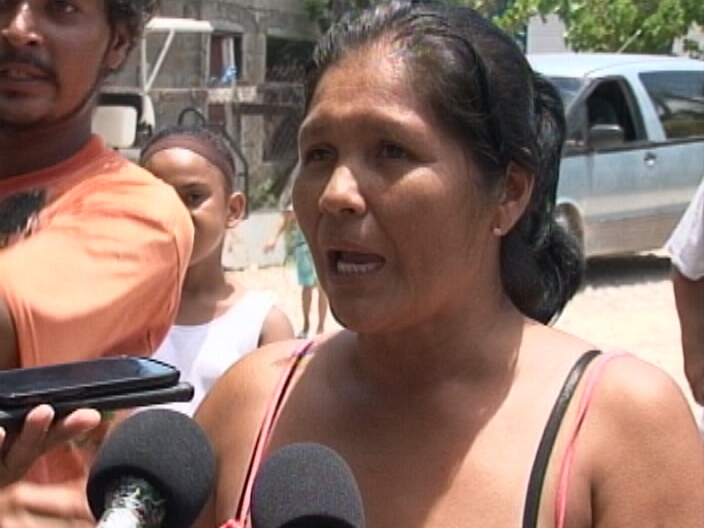 Reports from the town say that the fire happened in the Boca de Rio area of San Pedro. Pictures posted on social media show the blaze lighting up the skyline before it was brought under control by the fire service. We will have more on this incident on Monday. Oh no - what burned? The San Pedro Police Department indicates that a total of nine buildings were damaged by the fire; of that seven small woodden structures were destroyed, one was a concrete and wodden two storey building and one was a two story full concrete building. Three of those structures that were lost were all apartment rental buildings with one alone housing 5 families with a total of 24 people living in the complex. The other two apartments housed nine and 6 rooms respectively. It is estimated that the fire left over 40 people homeless. Some people have sought refuge with family members while others are taking shelter at the local primary school. The only injuries reported after the fire was of a male sustaining a broken hand and that of a one month child receiving minor burns; both received medical treatment at the Dr. Otto Rodriguez Poly Clinic II. From initial investigations received from the residents in the immediate area, they indicated that smoke and fire was seen fron the concrete and wooden two storey building from where they believe the fire originated from. Last night, San Pedro witnessed another disaster that left many families homeless. Below you may see the aftermath of the disaster. These families need all the help they can get; whether its food, clothing or basic supplies, you can make take your donation to the San Pedro Lion's Den where they will be collecting items for these families. Any assistance offered will be greatly appreciated! 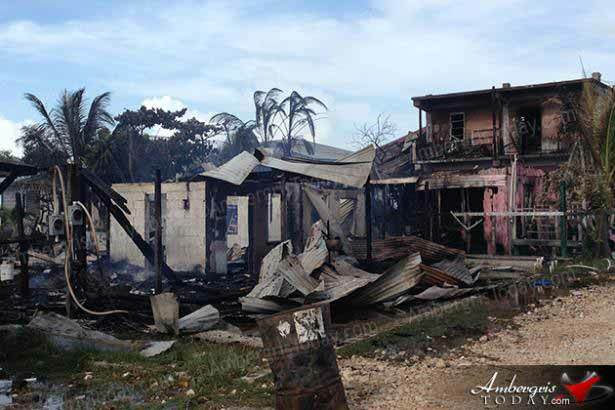 16 families comprising 66 people and 32 children are homeless after a huge fire last night in the Boca Del Rio area of San Pedro Town destroyed 5 buildings and damaged three others. If you're wondering how 66 people fit into 8 buildings - we should tell you that Boca Del Rio is a low income area of San Pedro Town, where many people are crammed into small shacks and apartments. So, the large fire had an outsized effect. 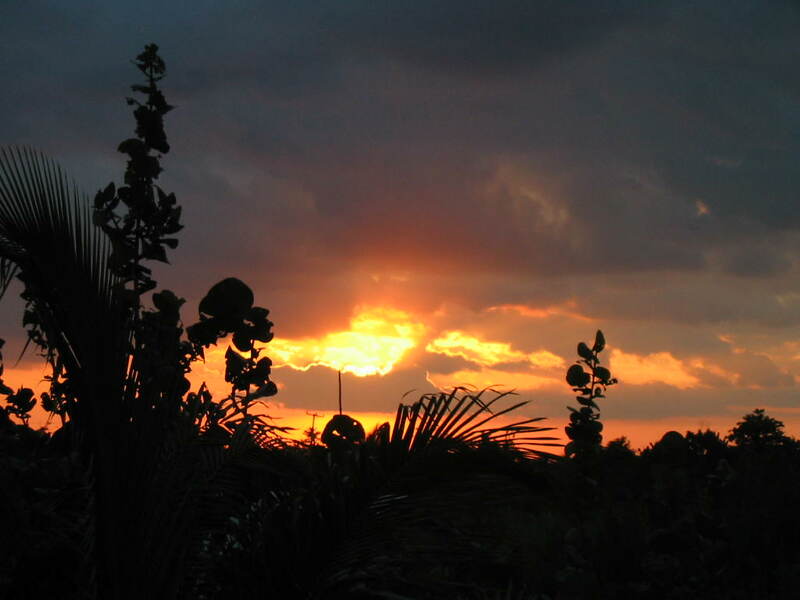 The fire started at around 8:45 last night in the Boca Del Rio area North of the Island. It only took minutes before 8 houses within close proximity were ablaze. 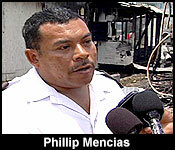 Phillip Mencias - O.C, Fire Department S.P. "One vehicle was dispatched and on arrival they saw that a two-storey wooden upper and concrete bottom was on fire, mostly the upper was on fire. Immediately they got into operation while at that time I was on my way from DFC area where I live and I brought the other truck. On arrival, we started to draft water from the open source and it took us about an hour and ten-fifteen minutes to bring it under control and then eventually we extinguished it." 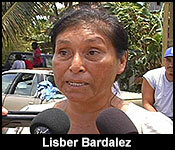 And while the cause of the fire is still unknown- we do know it started from the back room of Lisber Bardalez's home. "I was on the verandah drinking my coffee with my son and my mom and my father was watching TV and my husband was sleeping. But people say that my husband burns the house and that is a lie because he was sleeping. I had just asked the lady from the house why she as saying that my husband burns the house and she say that's a lie, she didn't say anything. Afterwards we were drinking coffee and a girl pass and she say that how the house as burning at the back and she told my mom to come out and my mom told her that she can't come out because she can't walk. And then I went to check the rooms and when I opened my son room, I saw the fire coming from the window. After that I ran to the next room and I wake up my husband, he was sleeping and I said Rene, get up, get up. And then we lost the baby inside because we have a three year old baby. After that, I was trying to throw away the baby from the verandah and all the people that were downstairs was outside in the street. Only us whose house was burning were upstairs, nobody told us that the house was burning; only the girl that passes by." "After that nobody in the streets came upstairs to help us even though we were shouting help because my mother was inside and the baby and everyone were inside. The girl boyfriend came and took the baby and brought him down and then my son grabs my mom and was bringing her down when he fell inside and then my dad came out." "Where did the fire started? From your son's room?" "From my son's room. I thought he was in there but he was in the streets, he always comes like around 9-10 in the night." 16 families are left homeless - that includes 66 people -32 of them are children. "I was up early this morning waiting for the early talk show, so I was the first one to call and I am calling on all the NGOs all the groups, any group of people that are use to help because this community is very good when it comes to unity and we do unite and we are focusing, probably Wednesday or Thursday, for a massive radio-thon fundraising and I'm asking the general public to please assist. We are good at it. So I am hoping that the Red Cross, the NEMO area representative and any other government department that can help is welcomed. I already spoke to the Red Cross just a few minutes ago, I spoke to NEMO, Miss Tim Rose; they are doing everything they can do right now. So definitely help is coming out pretty fast. Last night I was here and I helped two families immediately; I put them at the Roman Catholic Government School. This morning, we took them for breakfast, we are going to take them for lunch and I already told them to put their names at the Town Council. We'll help them with a small financial help, so they can manage to go around. But definitely we are looking for shelter and we'll have to be looking for clothing also." 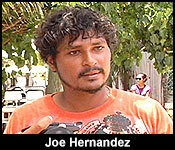 Joe Hernandez was one of the first to spot the fire. He and his mother lost everything. "When it began, I went downstairs to pick up my clothes because I was going to wash and so as I turn on the washing machine my cousin told me where's your mother. I said inside and he said, auntie, auntie….fire next door. When I look over there, the windows like that over there, it was blazing up. All I did was come and shout to the neighbors, fire, fire. Everyone just run away." "I call the police right away and I shout for everyone, come out, come out because fire, fire. I call them, take out the kids, try to see what we can do, try to run. And when all of us run out, I realize I had some few stuff when I run in, but the fire was already there and can't save anything." "Did you manage to salvage anything in the fire?" "One suitcase for my baby, one suitcase of clothes." "No, that's my property. In everything, it's my husband and my two kids and at the side there is another house for my son, then the other neighbor with 3-4 kids with wife and husband and everything. By the way I think the fire could have avoided it because while this house was under fire I was trying to help hold the hose to put out the fire, but instead of outing the fire - they saw that next house over there under fire and so they leave this one and they went to the other one and the wind was blowing and I was like don't let my house catch because it's terrible to lose everything. By the time the fireman comeback again to out the house, no water was in the hose. They went to lagoon and when they came back my house was already under fire. Then these guys started to use buckets of water and the police started pushing them away. The police took a guy to the ground because he was under the influence of alcohol but he was trying to help hold the hose. I had to stop him from hitting the guy." "There are complaints that the fire department reached late, one; and two, that you guys weren't prepared when you were out here. Could you talk about that, about what happened in that process of fighting this blaze?" "Well it's just two men on shift you know. So if two men arrive, you have to wait until the others. For example, I had to come way from DFC; that took like fifteen, ten minutes for me to reach here, pick up the other truck and come to assist." "So there was a delay?" "In getting the fire under control." "Well I wouldn't say that. The guys were out here fighting the fire." "There were also allegations that when residents tried helping the firemen stopped them from trying to out the fire." "I don't know about that ma'am." "I heard one of the families mentioned that the fire hose burst during the fire fighting process?" "You see, right here you have people driving on our hose and if you notice the street have sharp stones, so eventually when they are driving up and down on the hose it will burst." 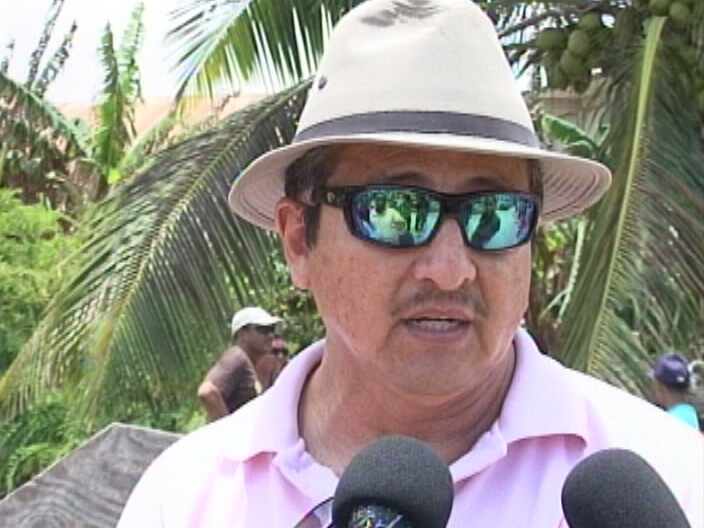 Most of the affected persons worked in the tourism sector. So far fire investigators have bout found out what started the fire. The San Pedro Town Council is taking donations for fire victims and if you want to help, you can call, the San Pedro Town Council at 226-2198 or 226-2788. Neighbors and witnesses called The San Pedro Sun about the fire around 8:30 PM when the first structure was fully engulfed in flames. 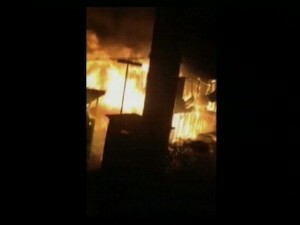 The official reports from both police and fire officials indicated that they were alerted about the fire around 8:45PM. According to Phillip Mencias, Officer in Charge at the San Pedro Fire Department, they were alerted by police of a house fire in the northern side of San Pedro Town. 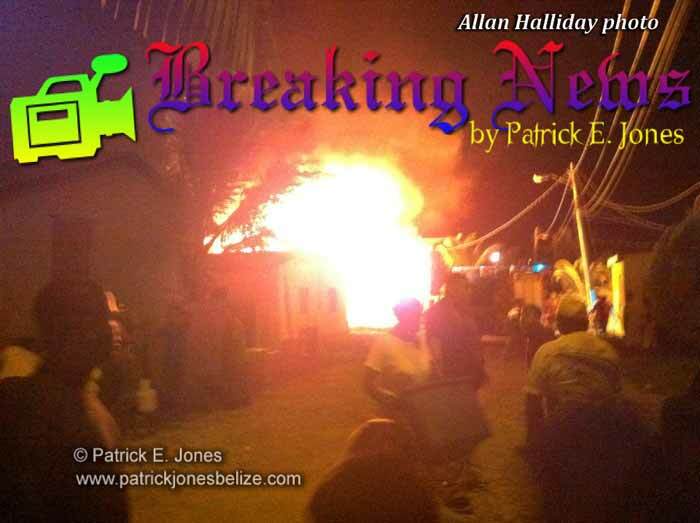 “At about 8:43PM police came over to the station to report a fire on Conch Shell Street in the Boca del Rio Area. We immediately dispatched one vehicle and on arrival we saw that a two-story building, upper wooden and lower concrete, was completely engulfed in flames. We immediately got into operation and 15 minutes later we dispatched the second truck. We only have two firefighters on a given shift so it took us some time to get to the fire station to dispatch a second truck. It took over an hour and fifteen minutes to bring the fire under control. 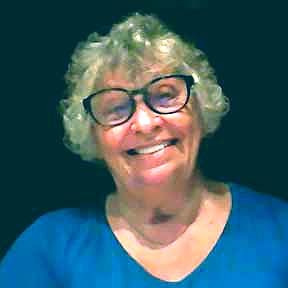 Due to radiation – the close proximity of the building and the wind that was blowing hard, the fire spread quickly,” explained Mencias. Bardalez told The San Pedro Sun that she noticed smoke coming from her son’s room and when she went to look, flames were coming from inside. “When I opened his room door, I saw fire. When I saw that, I went to wake up my husband. In the processes, I lost my three-year-old baby. I found him in the building and I was about to throw him over the verandah but instead ran down to hand him over to a neighbor. I was screaming for help and just a few people came, everyone was just looking at how the building started to burn. 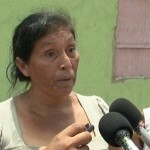 I had to beg for help to get my mother, who can’t walk, out of the building,” said Lisber Bardalez. 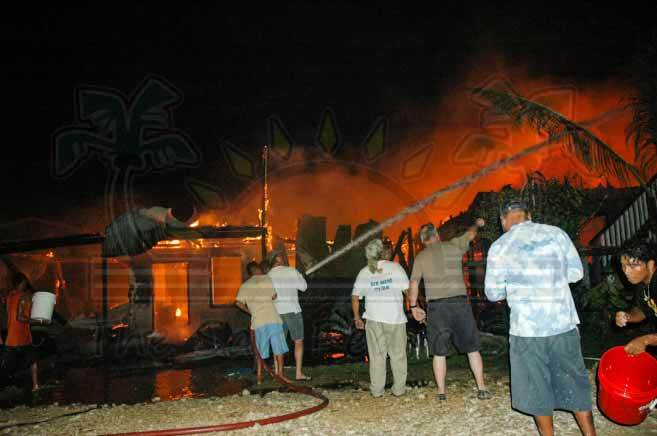 Sixteen families are tonight without roofs over their heads following a massive inferno which eviscerated eight buildings in San Pedro Town. While relief has been forthcoming, the families, a large number of which include children under the age of seventeen, have lost everything and starting over will be a challenge. 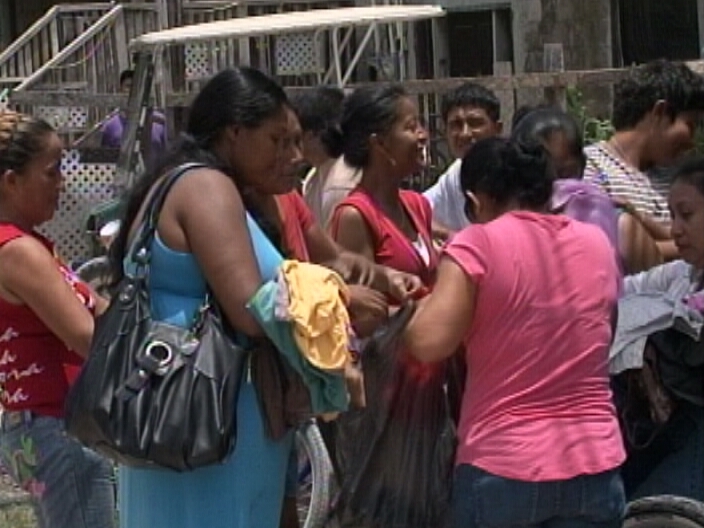 This morning, News Five’s Duane Moody visited the island where the devastated community is picking up the pieces. 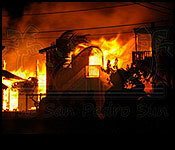 Three properties on Conch Shell Street in the Boca Del Rio Area of San Pedro Town went up in flames on Sunday night. 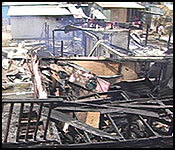 Around eight-thirty p.m., a massive blaze destroyed eight houses, displacing sixteen families. This morning, men, women and children stood across from the scene where there was still smoke and fire on site. 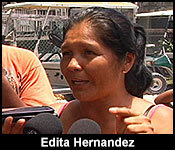 The Hernandez family arguably suffered the most in losses. Their property contained five structures; all of which were gutted by flames. Used as apartment complexes, the buildings were home for approximately eight families. The blaze started on the upper flat of a two-storey structure that once stood at the center of the rubble. 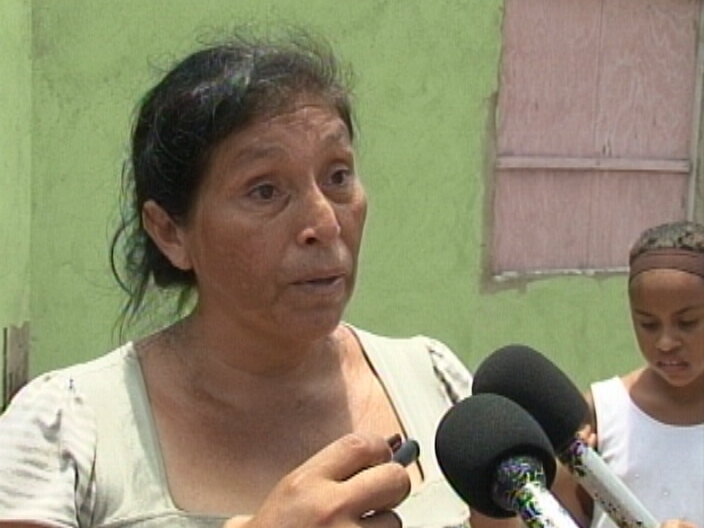 The concrete and wooden building was rented by Lisber Bardalez, who lived in the upper flat with her husband, children and mom. She says it was a neighbor who alerted them about the fire to the rear of the house. 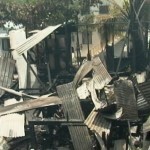 Due to the proximity of the structures, the fire easily spread to other houses. Joe Hernandez and a couple other residents, in an effort to save their home, started dousing the bulding with water, but it was futile. Fire officials responded to the scene soon after the blaze engulfed the house. Residents were of the view that the firefighters were not prepared to tackle the inferno and Officer in Charge at the San Pedro Fire Department, Phillip Mencias, confirmed that they were faced with challenges. A total of sixty-six persons, thirty-two of which are minors under the age of seventeen, have been displaced by the fire. All their belongings, school uniforms and household items went up in the blaze. While some have been taken in by friends and neighbors, others have been placed in shelters. With no place to go and no food to eat, it is most devastating to the residents. The Town Council has stepped in to assist the oppressed families. Investigations are ongoing and the cause of the fire has still not been determined. Duane Moody for News Five. According to Mayor Guerrero, the congestion within the area is the reason why the fire affected so many families. In the coming months, however, a master plan for the island will be officially signed that to ensure that residents respect setbacks. For heavens sake what ever happened to the old fashioned volunteer fire departments? Waiting for some one to drive 15 minutes before dispatching a truck in inexcusable. It is good that people come together AFTER a tragedy. Maybe neighborhood watches could have volunteers to respond in their own neighborhoods. Maybe each neighborhood could have one small pumper truck located centrally to their community. People are always willing to do the bucket brigade why not give them some basics on use of fire hoses? This unbelievable scenario has happened way too often. I am still shaking my head in disbelieve. 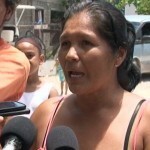 Sixty-six people, members of thirteen families, are homeless after a massive blaze last night in the Boca Del Rio area of San Pedro burned seven buildings, completely destroying five of them and partially destroying the other two. 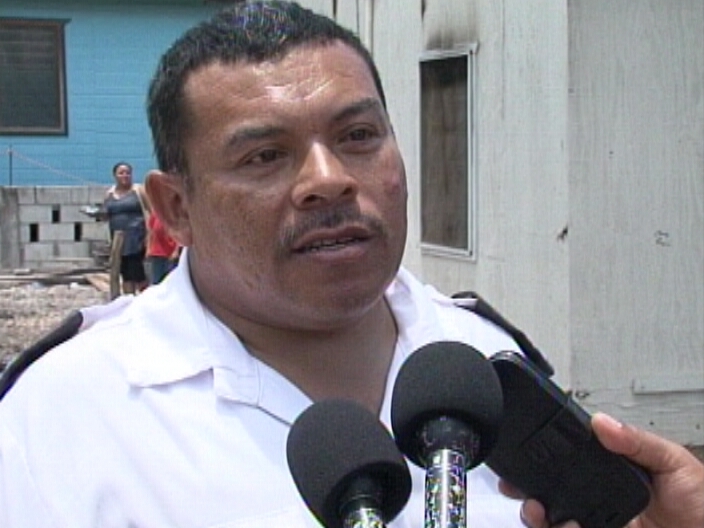 The San Pedro Fire Department told Amandala that they responded to a call from police at about 8:30 last night, about a fire on Conch Shell Street, in the Boca Del Rio area of San Pedro. When they arrived at the scene, they saw a building burning. The firefighters quickly went into action, but strong winds carried the flames to the surrounding buildings, and they became ignited. The water they carried in their truck was expended in about two minutes, but the firemen quickly accessed water from the lagoon, which was their open source, and they threw water into the area of the blaze. We were told they brought the fire under control in about an hour and 30 minutes, and the fire was completely put out in about two hours. The fire was said to have begun from the upper flat of a two-flat house that was occupied by a man and his family, comprised of seven members, and it spread to the lower flat, which was concrete, and was occupied by five families. 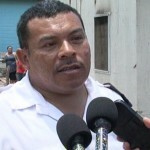 Marlon Guevara, a resident of the area, said that the firemen had to contend with the wind, but they fought the fire against the wind, and not after it, and so, they saved the block. Rigoberto Roaches, a homeowner in the area, said that at about 8:30 last night, he was in his house enjoying a movie on his television when he was alerted that a neighbor’s house was burning. He quickly looked out to see what was happening, and saw a man run down the stairs from the upper flat of a house in the area, and he then saw the back portion of the house burning. Roaches said that the heat was intense, and another building quickly caught fire. He quickly began to throw water on his house to prevent it from burning. A tree became scorched, but luckily, his house did not catch fire. When the fire was put out, some of the victims slept at his house last night. A resident of the area (who did not want his name known) said that he was at home when he was alerted by a commotion. He firstly thought that it was a fight between the neighbors, but when he came out to see what was happening, he saw his neighbor’s house burning. He saw his neighbor run upstairs into the house to rescue his children, but they had already been evacuated. His neighbor’s house was filled with smoke, but he went after him and brought him out. His neighbor’s clothes were already catching fire, and he threw water on him to put out the fire. The resident said that he and his friends went to the lagoon for water, but police barricaded the area, making it difficult to access the burning buildings, and the people became angry. He said that when the fire truck came afterwards, it threw water for a short while and then the water ran out. He said that two buildings caught fire almost immediately when the firemen rolled up their hoses to relocate to get water from the lagoon. They then went to the lagoon and brought water in buckets and other neighbors joined them and a fire brigade was formed. 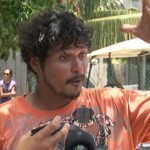 He said that because the fire was burning quickly, some of the people did not have time to save their belongings. He also said that the fire service was unprepared, because the small truck responded instead of the big truck, and the water in it only lasted for about two minutes, after which it ceased operation and relocated to the lagoon; during that time, the fire was burning. In speaking with Amandala, the victim said that the fire began from outside, and it went into the house, and within 10 minutes the house was destroyed. He said that if the fire had started inside, his family members, who were at home, would have controlled it. He said that there were many allegations as to the cause of the fire, and two men have been detained by police in their investigation. The man said that they have been given clothes, but his concern is where to sleep tonight, because although their house is still standing, they have been ordered not to go into it, because it is dangerous. 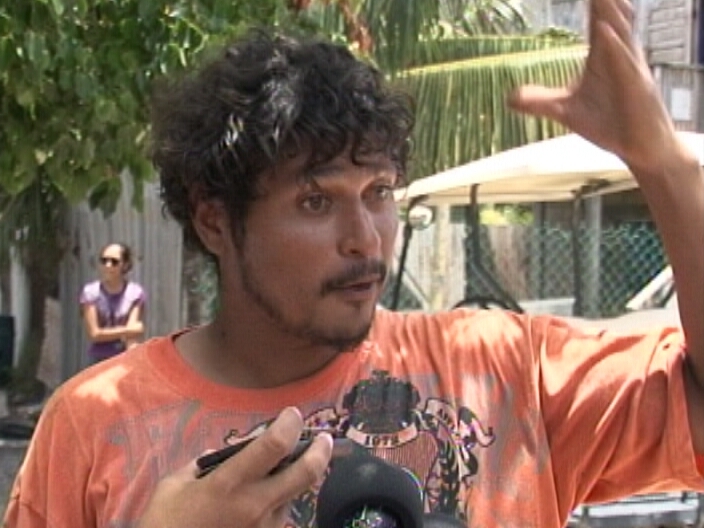 Everett Palacio, a resident of the San Juan area, said that this morning, he and his family came to the area to assist the victims with needed items like clothes and eating utensils, and other items needed to make them comfortable. This morning, Monday, the San Pedro Town Board, the San Pedro police and the National Emergency Management Organization (NEMO) came to assess the damage and help the victims of the fire. 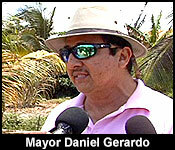 Superintendent Castellanos said that the San Pedro Police is also assisting in aiding the people. He made a donation of mattresses that were given to the new police barracks and other items to make the victims comfortable, because they were more in need of the items, he said. The cause of the fire, which burned six 2-storey buildings and a 1-storey house, is not yet known said the Fire Department, and they, along with police, have begun their investigation. Superintendent Luis Castellanos, Commander of San Pedro Police, said that the residents from whose house the fire was said to have started, were taken to the station to give statements. In making the tally of the seven buildings burned, fire officials said that the buildings were in close proximity to each other, with about 3 to 8 feet between them. The fire began from the upper flat of a two-flat building owned by Maria Gonzalez, but which was being rented by the families, and adjacent to it was another 2-flat building; the upper flat of the adjacent building had 3 bedrooms, and the lower flat was a warehouse. In front of these two buildings was a wooden house. On the right side of these three structures were two, 2-flat buildings. One had 4 rooms and the other had 6 rooms – 3 on the upper flat, and 3 on the lower flat. The distance between them was 8 feet. Across from these five structures were two more buildings. There was a distance of about 6 feet between them. The upper flat, of wood, had 3 rooms and the lower flat was of concrete. It had 4 rooms. The second building had 3 rooms and 25 % percent of it was destroyed. The families are now displaced and are seeking shelter with friends. 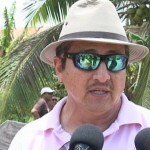 Superintendent Luis Castellanos believes that the victims will be housed in schools and will be taken care of by NEMO and the San Pedro Town Board. If we wanted to send a contribution for the fire victims to the Lion's from the States, what is the address we send to? Maybe the firefighters care, but they have no clue what to do or how to organize a plan - the excuse that the men live too far away is no excuse at all - it is clear evidence of BAD PLANNING. No fire can be allowed to blaze for 20 minutes before trucks arrive. "If you think education is expensive, think about the cost of ignorance."